Welcome! 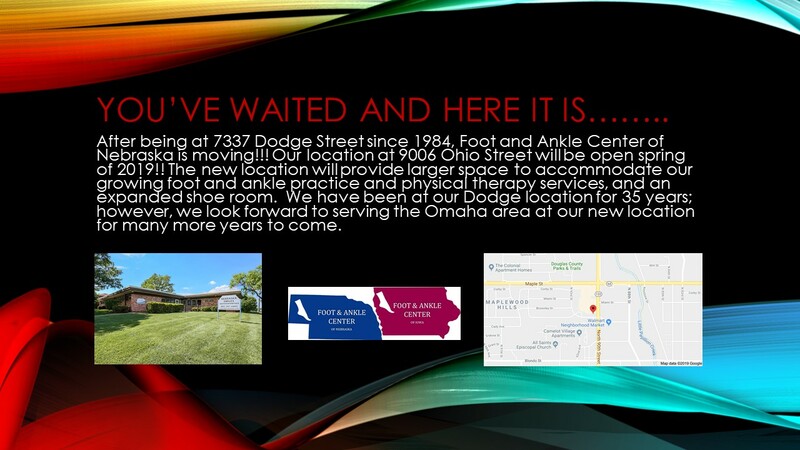 Since 1978, the Foot & Ankle Center of Nebraska and Iowa has been working with patients to provide the best podiatric care for patients in the Midwest. Drs. 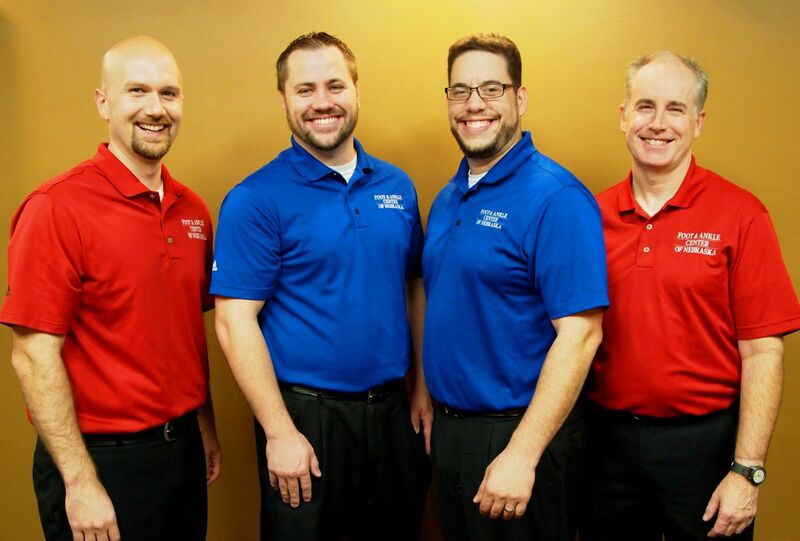 Greenhagen, Nelson, Olari, Sikes, Lazoritz, Whelan, Dayton, and McCabe couple our experience and training with genuine concern for our patients. Our experienced staff is dedicated to your comfort and prompt attention as well. Our goal is to help you maintain healthy feet and ankles. 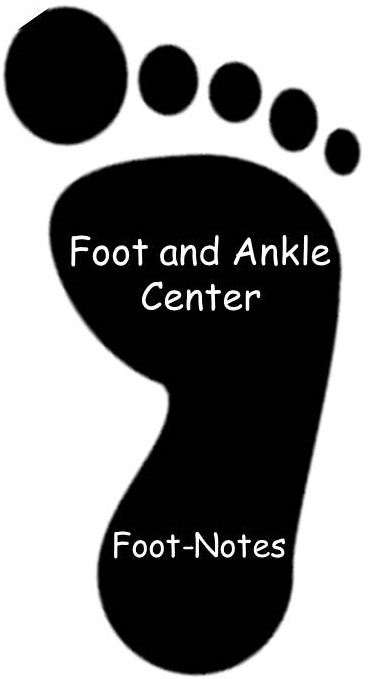 This website provides you with an overview of our practice and the foot and ankle. As you navigate the site, you'll find information about the Foot & Ankle Center's practice philosophy, our office location and convenient hours. You can also request an appointment by clicking here. You'll find a lot of valuable information on the web site about foot problems, diagnoses, and treatments. We believe informed patients are better prepared to make decisions about their health and well-being. We encourage you to review this information to help you understand any health concerns you may have. We are always looking for new friends. Please like us on Facebook and provide us with comments on your experience with our team. You can also follow us on Twitter to keep up with health tips and information on our offices. We are proud to now offer Care Credit* to provide flexible payment options to our patients. For more details please click on the Billing tab above.